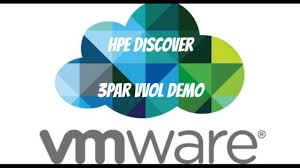 Whilst at Discover I recorded a video of the end to end process for getting up and running with VVOls on 3PAR. Check out the video below, and don’t forget to subscribe to the YouTube channel. Previous Post Veeam at Discover – what’s new? Thanks for the demo very helpful to see the process. Now that multiple containers are available with 3par 3.2.2 we are trying to determine if multiple protocol endpoints can be created and if PEs can be mapped to specific storage containers. We have a multi-tenant environment and have not been using 3par domains (lun masking sufficed) but it looks like with only one PE (as most 3par docs indicate) we would have to use 3par domains to provide access control. Hi, Protocol End Points are the logical access points that enable data path communication between the storage system and vSphere, they are not intended as a security mechanism. Remember each VVOL is unique to each VM so in this way you will still be achieving results similar to the LUN masking you are already using.